Dr Mahnaz Alsharif is a sport physician at Circle Bath Hospital. She is a member of the faculty of Sport and Exercise Medicine (SEM) UK. Mahnaz has over 15 years’ experience of treating people with acute and chronic sports and work-related musculoskeletal injuries. She has particular interest in running injuries and football. In her clinical work she uses dynamic ultrasound to diagnose, assess and monitor injuries and allow for accurately guided injections. She qualified from the University of Bristol as a medical doctor in 1996. After medical training she began her career as a GP, where her interest in musculoskeletal disorders and sport injuries led her to specialise further in Sports and Exercise Medicine (University of Bath). She has been the Bath City Football Club Doctor since 2002, and has been providing medical cover to the local amateur athletic and boxing clubs. She also has a special interest in health promotion to limit the effects of ageing. Her work has involved a wide range of input for elite athletes and professional performers including screening, health promotion and performance enhancement, illness and injury prevention, diagnosis and management of injuries through to return to full fitness. 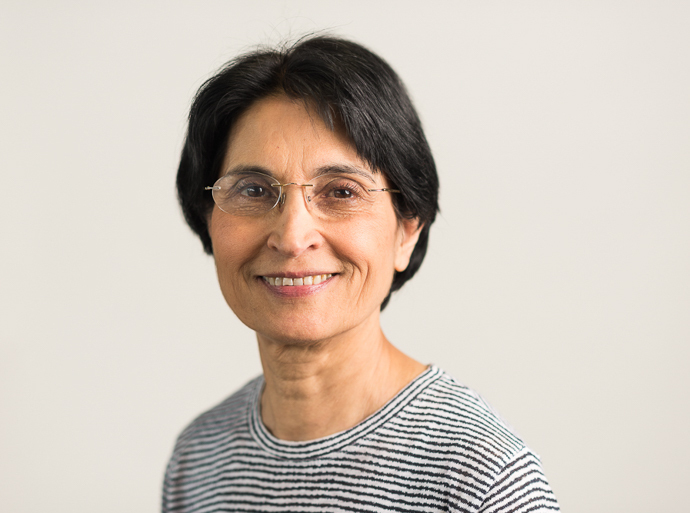 Alongside Sports medicine and medical activities, Mahnaz has a PhD in Biochemistry from University of Bath with research interests in molecular genetics. During her post-doctoral research she supervised MSc and PhD students and worked as a molecular biologist on mechanisms involved in the control of DNA damage and repair. Mahnaz has an interest in the genetics and biochemistry of fitness and physical performance with particular reference to nutrigenomics and epigenetics. She is the author of several publications and poster presentations at national and international conferences. The qualities Mahnaz has developed as an academic have deeply strengthened her commitments as a medical doctor and have provided a thorough grounding in the sciences underpinning Sport and Exercise Medicine. Her postgraduate research and post-doctoral work have refined her decision making, problem solving and analytical skills. Medical director to Outdoor Medical Solution (OMS) Ltd.
Bath City Football Club doctor. NHS GP Bath Royal United hospital (RUH) Urgent Care Centre. Away from work Mahnaz practises Bikram yoga and enjoys cinema and music. She is athletic and has completed a number of half-marathons and British 10Ks. She writes poetry and hopes to be able to publish her poems one day. Sports injury prevention and rehabilitation to prevent re-injury. Performance enhancement by optimising health and fitness through an integrated diet, exercise and lifestyle approach limiting the effects of ageing. Resolving chronic sport and non-sport related musculoskeletal injuries and ligament/tendon disorders. Biochemistry and genetics of exercise and sport performance. Get the treatment you need without a waiting list. An initial consultation with Dr Alsharif costs £140 and it’s easy to request a booking using the form on this page. The cost may be covered if you have private health insurance.